When you think of the most used appliance in your kitchen, what comes to mind? 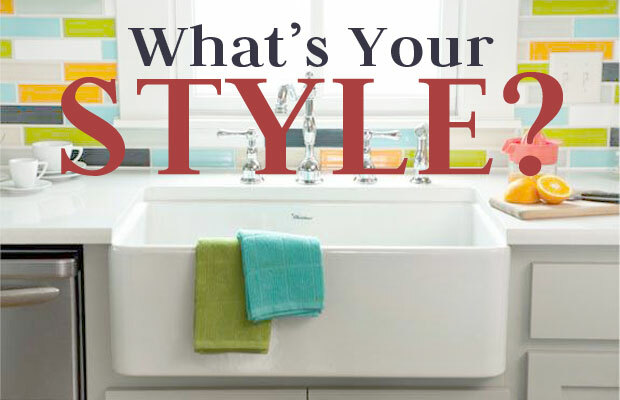 Most likely not your sink, however, kitchen sinks are perhaps the most used house appliance (besides a toilet, of course). Used to prepare meals and wash dishes on a daily basis, these under-appreciated centerpieces can be quite functional and aesthetically pleasing. Kitchen sinks come in a variety of types fit for every style. 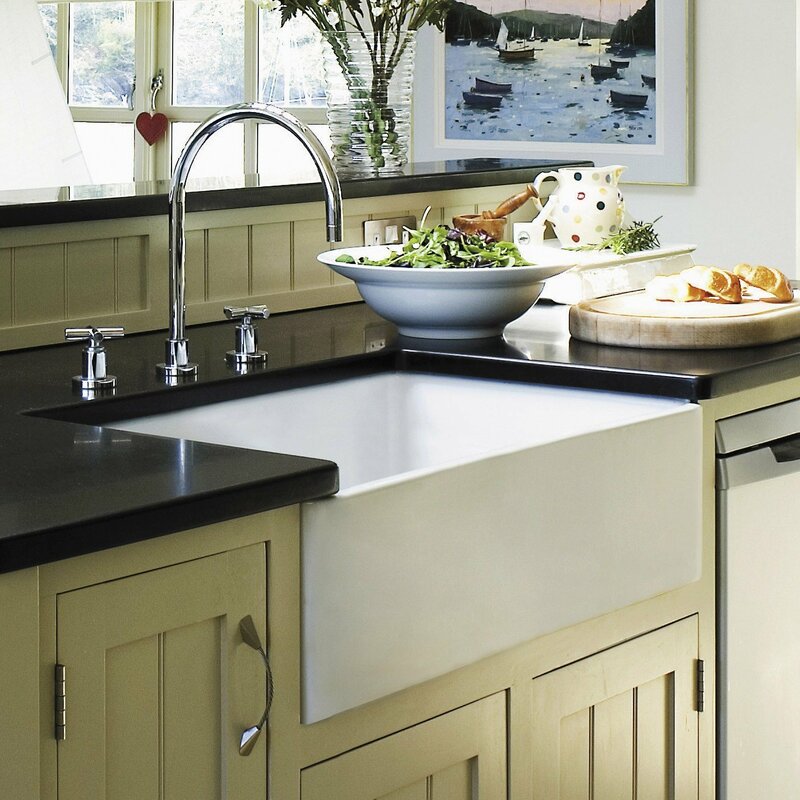 Farmhouse Sinks are normally larger rectangular basins with either a single or double bowl. They are usually under mounted or recessed into a counter with options of fluted fronts or apron fronts and made from a variety of materials, such as fireclay, copper, stainless steel and cast iron. Faucets for these particular styled sinks are often wall mounted or single post, but widespread and bridge faucets are the most popular among consumers. 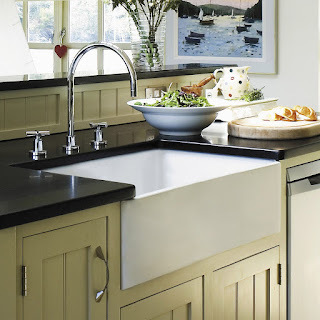 Country Sinks are slightly different than Farmhouse Sinks as the faucet is typically mounted into the raised back wall of the sink itself. 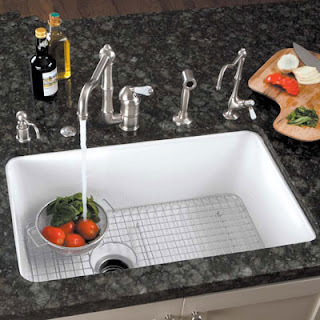 Undermounted Sinks are mounted under the countertop, leaving the sink opening of the countertop exposed and flush with the inside of the sink basin. This style of installation is great for quick cleanup as crumbs left on the counter can be brushed into the sink without getting stuck under a lip. They are made in a variety of materials, such as fireclay, copper, and stainless steel. Faucets for these particular styled sinks are often wall mounted or single post, but widespread and bridge faucets are the most popular among consumers. Drop-in Sinks are installed like the name implies. The sink is dropped into the countertop with the rim of the sink sitting on the countertop itself. 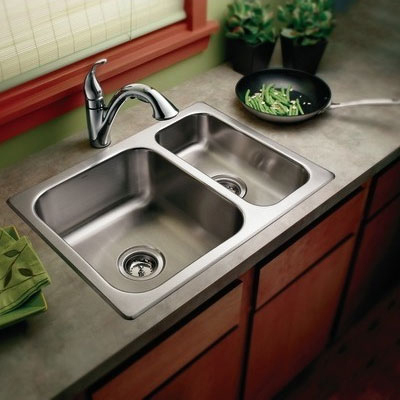 It is considered a more standard style kitchen sink and can have either a single or double bowl in materials such as fireclay, granite, stainless steel, copper or much more. Faucets for these styled sinks are usually already drilled into the lip of the sinks and can range from 0 to 4 holes.